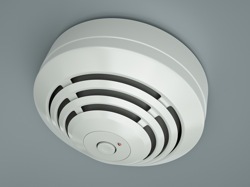 Carbon Monoxide Related Recalls | Nashville Injury Lawyers The Law Offices of John Day, P.C. Our award-winning attorneys have a well-deserved reputation for success in all types of personal injury and wrongful death cases, including those injuries and deaths caused by defective products. Our success in prior cases encourages manufacturers and insurance companies to do the right thing and settle without the necessity of a trial. But, if they deny liability or refuse to pay fair compensation, our seasoned trial attorneys will not hesitate to take your case to a jury. Kubota Off-Road Vehicles -- On October 2, 2012, Kubota and The Consumer Product Safety Commission recalled the Kubota RTV500 4 x 4 vehicle with cab because carbon monoxide can accumulate in the vehicle's cab when the engine is idling and the vehicle is not moving. Maple Chase Carbon Monoxide Detectors -- Maple Chase Company and The Consumer Product Safety Commission recalled the FireX Branded 10000 Series Carbon Monoxide Alarms and the 12000 Series Carbon Monoxide/Smoke Combo Alarm because, in the presence of carbon monoxide, the alarms can sound a "double chirp" alarm before ultimately sounding the full alarm. Yet, the owner's manual instructs consumers to take the alarm out of service upon hearing a double chirp alarm, which could leave the consumer exposed to dangerous levels of carbon monoxide. Effikal, LLC Gas Vent Dampers -- Effikal, LLC and The Consumer Product Safety Commission recalled roughly 45,000 gas vent dampers for gas boiler systems. The automatic gas vent damper can fail allowing it to leak carbon monoxide if the blocked vent switch does not activate. Kiddie Safety Carbon Monoxide Detectors -- Kiddie Safety and The Consumer Product Safety Commission recalled roughly 650,000 Nighthawk alarms and 350,000 Lifesavers alarms. The Lifesaver alarm could alarm late or not at all and the Nighthawk alarm could alarm late. Under either circumstance, homeowners could be exposed to hazardous levels of carbon monoxide. Fleetwood Enterprises, Inc Motor Homes -- Fleetwood Enterprises, Inc. and The National Highway Safety Administration issued a recall for certain motor homes in which the generator exhaust can accumulate beneath the slide out portion of the motor home and then seep into the interior of the vehicle. Passengers inside the vehicle are at risk for carbon monoxide poisoning. If you or a loved one have been the victim of carbon monoxide poisoning, contact one of our experienced product liability attorneys for a no-obligation, no-cost consultation. We handle all carbon monoxide poisoning and death cases on a contingency basis, which means we only get paid if we recover money for you and your family. From anywhere in Tennessee, call us at 615-742-4880 or toll-free at 866.812.8787 or contact us online. We have recovered more than $100 million dollars for our clients and we want to help you too.